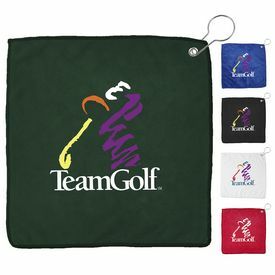 Promotional Golf Towels - Perfect for Your Business! 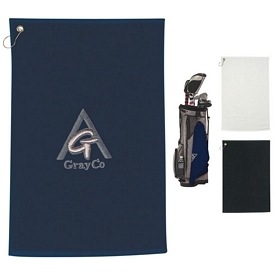 Classy and useful promotional products always attract the right kind of attention for your company. 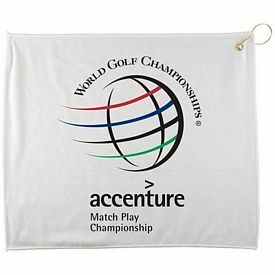 Golf is a stylish and exclusive game that your business can associate with. 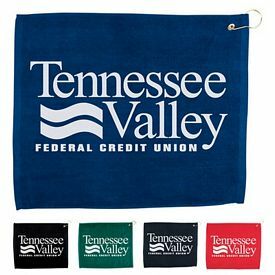 Customized golf towels are great gift ideas for tournaments, employee gifts, gift shop souvenirs and more. 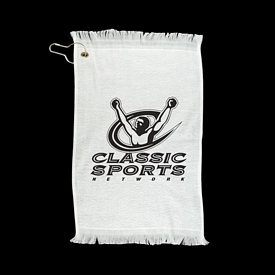 These promotional golf towels may seem vague and insignificant but it serves an integral purpose in the game. A lot of physical work and strain can lead the players to get sweaty. 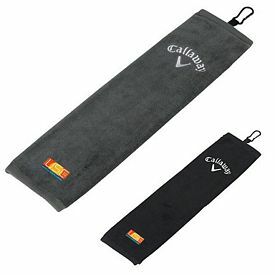 Thus, most passionate golf players will use and look at your customized golf towel all the time. 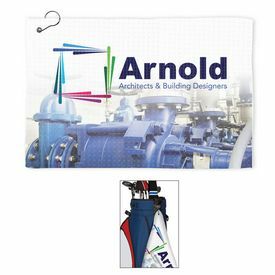 Personalized golf towels have a very good printing space, so your company name and logo can be displayed in a prominent manner. 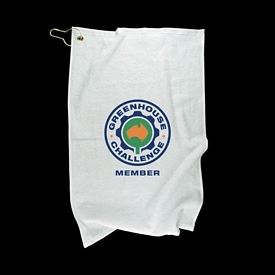 Promote your company with our customized golf towels to get your business maximum exposure. Be creative and give your customers something attractive and enticing so that they will love using them all the time. 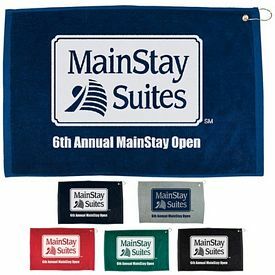 Our imprinted golf towels come in tri-folds and are attached with a hook or divot clip so that it can be clipped to a golf bag. 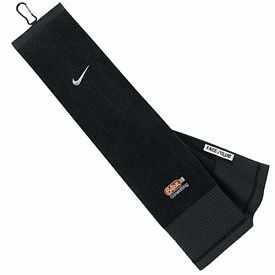 They look clean and modern and add to the sophisticated look of a golf player’s getup. 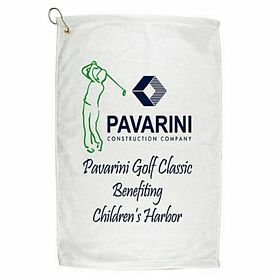 Our custom embroidered golf towels are affordable and can be easily distributed at various events. 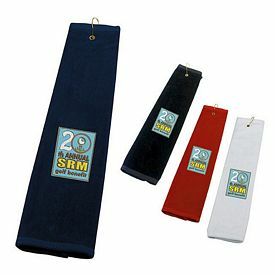 These promo golf towels are appealing and are frequently used. 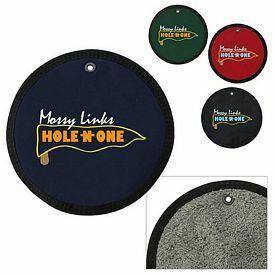 Therefore, make sure to print your custom golf towels with a catchy phrase or slogan to grab the customer’s attention each time they use it. 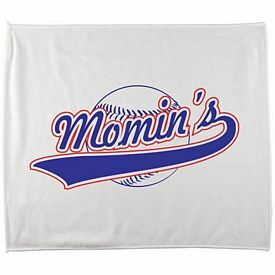 These phrases can inspire them on and off the field, so you will stay on their minds all the time. We do not charge you with any setup fees on our products. 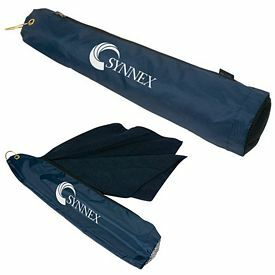 It is also very easy for all of our customers to browse through the promotional product catalogs online and then place and order for the products that they like. 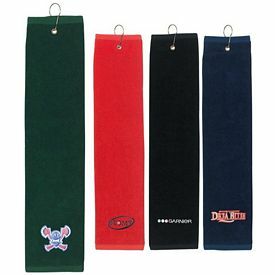 We have a variety of branded golf towels which can be customized according to your needs. 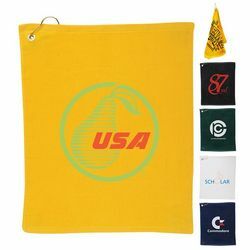 This wide range of custom golf towels allows you to pick the perfect product for your business. 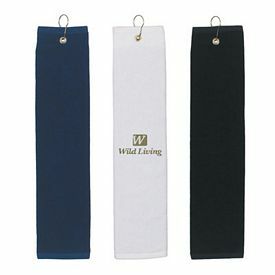 Our customized Waterproof golf towels also allow for smooth use for a long period of time. 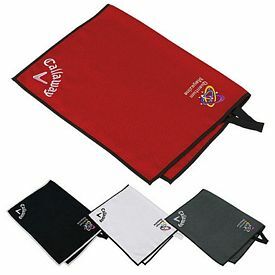 We also provide promotional golf pocket towels, which are smaller and can fit into the pockets of the players. 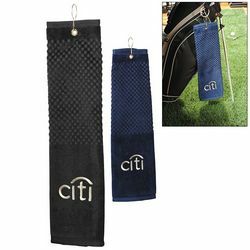 Our promotional woven golf towels are very soft and durable, so it is always a pleasure for customers to receive such gifts. 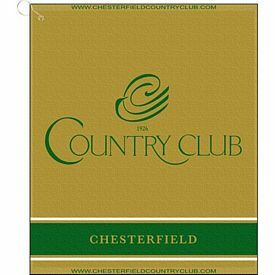 Ordering our branded golf towels is a sure way to please your customers. 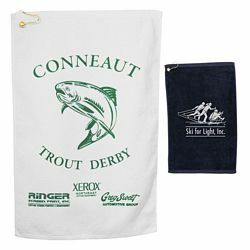 Order our imprinted golf towels in advance so that you are well prepared for your next trade show or promotional golf tournament event. 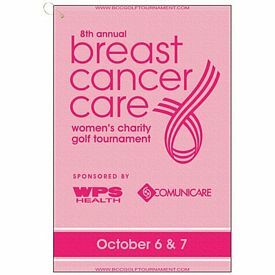 This is the best way to ensure that your advertising effort will be successful. 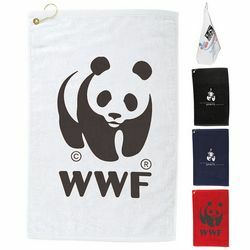 People will cherish your gifts and appreciate your marketing effort. 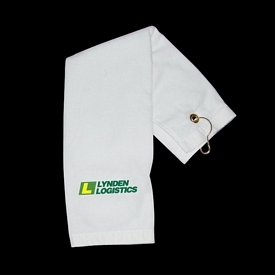 Our promotional Golf towels are very well received by all types of customers. 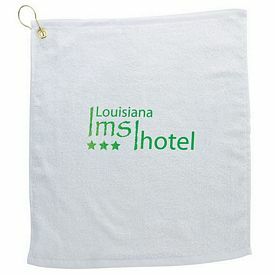 Come to The Executive Advertising for high-quality promotional golf towels.